It’s that time of year again. The time of year when the piers are unceremoniously disassembled and stacked along our shorelines. That happened in October, sure, but this morning there are still piers in the water, plenty of them. Covered in snow, surrounded by 38 degree water, still there. Soon enough, they’ll all be out, all stacked in some haphazard pile, lined up along the shore to remind us why we wait. There’s more to this time of year than just waiting, mind you. It’s not just the Holiday season, it’s more than that. It’s the time of year when buyers buy houses with bad boat slips. Is there such a thing? You bet there is. A boat slip is not a boat slip, is not a boat slip. These things appear the same, especially when the components that make up the slip are stacked in a snowy pile along the shore. But they are not the same. If you’re new to the market, or perhaps working with an agent who might be new to the market, you wouldn’t necessarily know the difference. After all, the MLS distinction for “boat slip” doesn’t specify what sort of slip you’re buying. You want to see homes with boat slips, you look at homes with boat slips, you buy a home with a boat slip. Cool, right? That depends. A boat slip diagram on a listing sheet might look simple enough. There’s a pier, some slips, a line to depict the shore. Everything is awesome. Except that you, the winter buyer, can’t quite tell how much water is in that shoreward slip. Is it enough? Well, that depends on what you’re looking to put there. Is there enough water for your 25′ Cobalt that you desperately want to gift yourself for Christmas, under the guise of it being a present for the entire family? Or is there enough for a 16′ Lund? 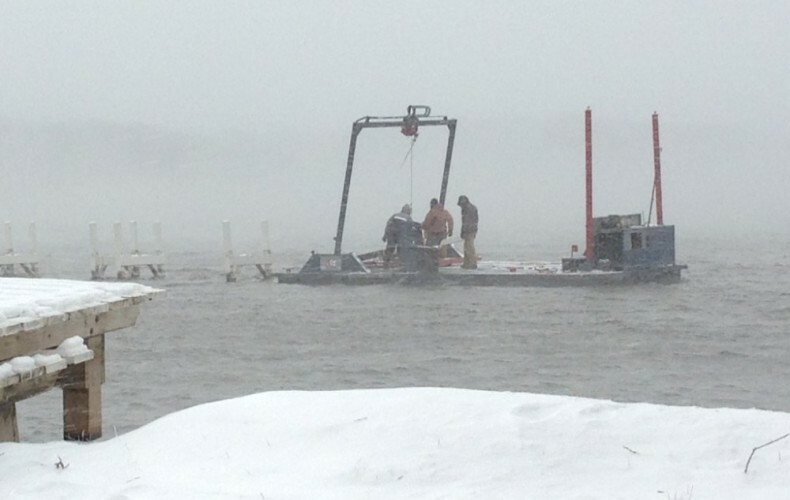 Maybe a waverunner or two, or a scow, so long as the center board is out? Boat slips can be deceiving. There are homes in this market that fail to sell simply because of their assigned slips. There are homes with terrific slips that have been bought by neighboring owners only to have the slip switched with their poor slip. That just-bought home goes back on the market sometime later, but instead of being sold with its terrific slip, it now has the miserable, shallow slip. Later, you peruse the online listings… Oh look, a home with a boat slip! There are associations with assigned boat slips. There are associations with boat slips that can only be attained after decades on a waiting list. Other associations have other rules. The off-water market functions largely on the availability of a slip. What’s a slip worth these days? Call it $200k and you’ll be safe. Sometimes a slip ads even more value, and sometimes it’s less. Sometimes a slip is good and sometimes it’s bad. Sometimes it looks good but it’s still bad. Whatever the association, wherever the slip, winter buyers should beware. ‘Tis the season where the bad slips are nearly indistinguishable from the good ones. If you’d like to know the difference, it’s actually rather easy. Just ask me, and I’ll tell you. The single lane associations on the south shore of Geneva are some of my favorite lake access associations. These are not large associations like Cedar Point Park or Country Club Estates, rather they’re intimate skinny lanes with a handful of homes, perhaps 30, perhaps 50, rarely more and rarely less. These associations generally offer one thing that the larger associations cannot- transferable boat slips. 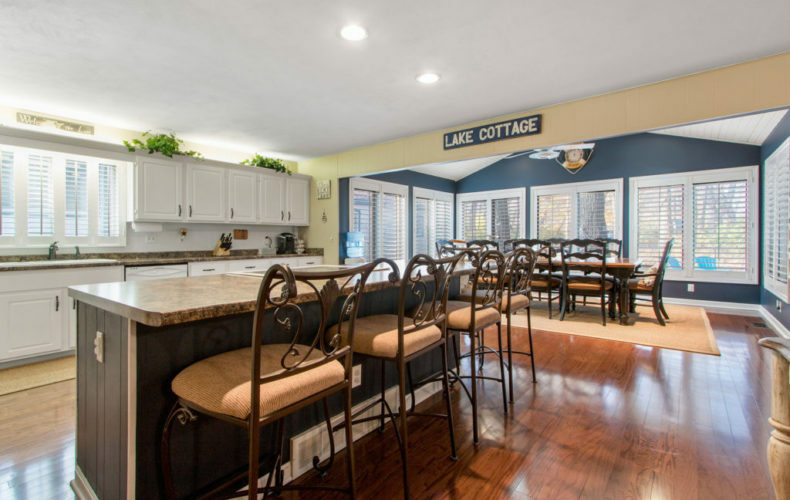 Excepting Sybil Lane, the other three in this stretch- Shore Haven, The Lake Geneva Club, and Oak Shores, all offer each home a fully transferable slip. Some slips are larger and others small, some shallow and others deep, but if you’re a buyer on these streets then you’re going to be buying a boat slip, and that is always a good thing. Some buyers don’t want boat slips. I’m not a boater, they say. I don’t even own a boat, why would I want a slip? Considering I’m a sage old Realtor at this point, I can tell pretty early on if the buyer is the sort who claims to not want a slip but who will, at a later date, wish for one. If a buyer wishes to spend $300k on a lake access home, that’s terrific news. But that buyer won’t be buying a boat slip for that sort of money. The home they can buy will be nice enough, with lake access through an association park and pier system, but a transferable slip will not be possible at that price range. However, if a buyer is looking at $500-600k lake access homes and doesn’t think they need a slip, I’ll always encourage that buyer to consider homes with a slip first. To vacation at Lake Geneva and not have access to a boat is like sitting down for a dinner at your favorite restaurant and not being allowed to order. Last week, I closed on my listing in Shore Haven for $675k. This was a nice house with terrific proximity to the lake, but that’s not why it sold. It sold because of its wonderfully large and deep transferable boat slip. Today, the home next door to that one is closing to a customer working with me, and that home will be selling because it’s cute, sure, but mostly because of that slip. Today, buyers searching for sub-$800k homes with boat slips are not going to be overwhelmed with the multitude of options available to them, but they are going to have options. As of this morning there are 6 homes with transferable slips (or pier) for sale priced under $800k, including my rare offering in Ara Glen listed at $775k. 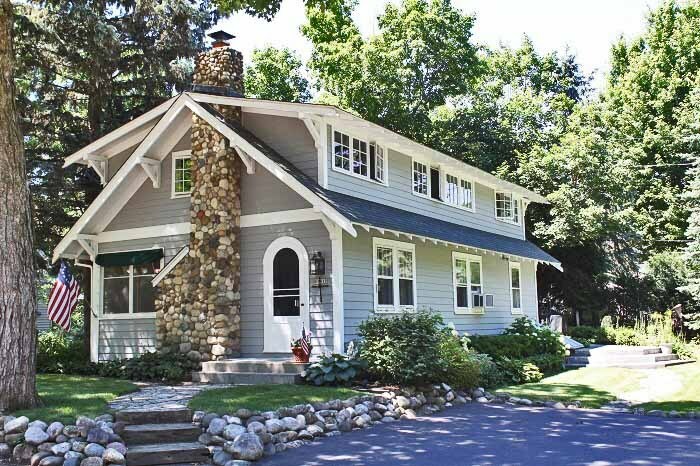 The next home to sell on this list will likely be my painfully cute cottage in the Lake Geneva Club listed at $609k, pictured below. That home has a nice slip, a double lot, and all sorts of cottage charm. If you want to pull up to your lake house and feel a deep sense of contentment, then email me and let’s make a deal. It’s May 1st, which means summer isn’t some far off thing we’re quietly dreaming about. It’s right here, right now, and before you know it you’ll be sitting in your Saturday suburban back yard wondering where all your cool neighbors went. The time is short, but there’s still plenty of it. Buy this house, be in for Memorial Day Weekend, then wonder how you ever spent Memorial Day Weekend anywhere else.